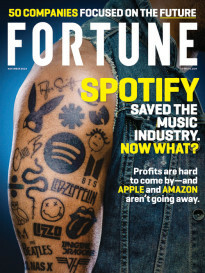 FORTUNE — Cash4Gold, the metal refinery known for having MC Hammer rap its praises during the 2009 Super Bowl, is being sold for scrap. 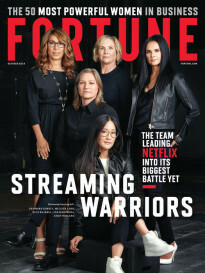 Fortune has learned that the company’s assets, including its domain name and client database, will be sold for approximately $440,000 to Direct Holdings Americas, the parent company of Time-Life (which is not affiliated with Time Inc., the publisher of Fortune). The deal remains subject to bankruptcy court approval, but that it believed to be a formality. What’s remarkable is that all of this comes less than four years after Green Bullion Financial Services, the Pompano Beach, Fla.-based parent company of Cash4Gold, raised $40 million in venture capital funding from respected firms like General Catalyst Partners and Highland Capital Partners. That’s right: This was the low-rent version of Color. Cash4Gold used some of that money to finance the now-infamous Super Bowl ad, which reportedly cost $2.4 million to broadcast and hundreds of thousands of dollars to produce. By the middle of 2010, however, both VC firms had written down their investment to nearly zero, and shortly thereafter exited the company altogether. Highland also was sued by one of Cash4Gold’s former business partners for fraud and breaches of contract, but the case was later settled out of court. Then came the bankruptcy this past July, with a Florida insolvency manager called Moecker & Associates hired by the court to find a buyer. Moecker also appears to have helped continue fulfilling orders for Cash4Gold, as the actual company shut down operations and stopped even answering its phone. Among those interested in purchasing the assets was the parent company of Sharon, Mass.-based CashForGoldUSA, an independent rival with a very similar-sounding name. It looked at the incoming inventory and several months of web traffic analytics, and tells me that it determined that the business was worth around $200,000. But rival bidder Direct Holdings America had something CashForGoldUSA didn’t: A cheaper source of capital. At the time it went under, the largest Cash4Gold creditor was Euro RSCG, a marketing agency that had produced that old Super Bowl ad — with an outstanding bill of $800,000 (the second-largest creditor was Google, which was owed around $115,000). Multiple sources tell me that Direct Holdings America purchased some or all of that outstanding Euro RSCG credit, which ultimately gave it greater bidding flexibility (such debt purchases are fairly common in the insolvency auction world). Thus the $440,000 price, compared to the $200,000 that Cash4GoldUSA was willing to pay. For a full list of creditors, go here. What remains unknown is what Direct Holdings America plans to do with Cash4Gold, assuming the court approves its purchase. After all, it’s a direct marketer of music and video products, not a metal refinery. I put in a call to the company yesterday, but was told the CEO and CFO were unavailable for comment because they were on a business trip. When I asked if they might respond to voicemails or emails, the company representative sounded annoyed, stressing again that “they are on a business trip.” Guess business trips mean different things to different folks (note: This post was written and posted aboard a cross-country flight).